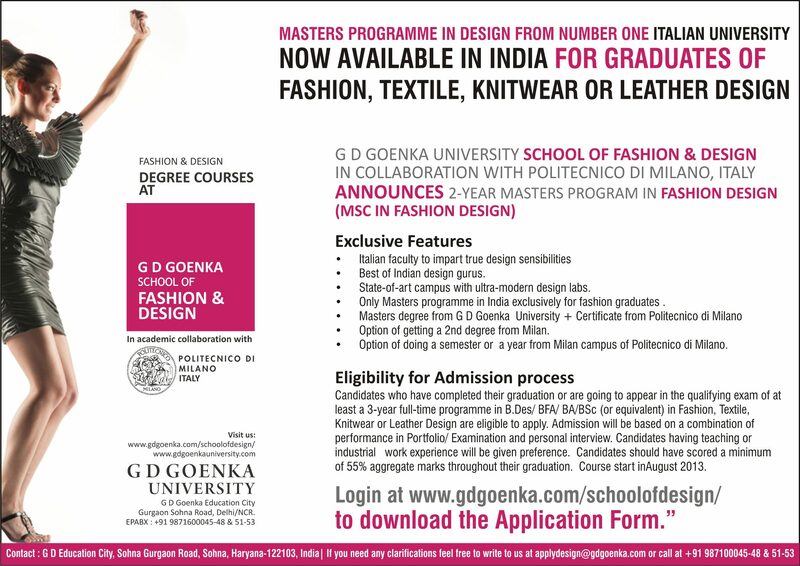 G D Goenka School of Fashion and design now offering a research based Masters programme, ideal for those who want to undertake serious research in the field of Fashion Design, an opportunity which is so far missing in our country. The program is open only to graduates of design. Its an advance level programme which build on undergrad education being offered in our country and will be taught by faculty mostly from Politechnico di Milano. Previous Post Previous post:LISAA CAT 2013 !